Some systems now connect RFID tags with scales and dosing guns, to customize the medicine dose to the exact weight of each animal. Photo by Todd Klassy. Like in any industry or business, ranchers are constantly searching for ways to automate and increase productivity to reduce costs and increase profit margins. There’s one technology that has been around for years now that American ranchers are just now adopting, even though its use has been commonplace elsewhere around the globe for years. Radio-frequency identification, more commonly known by its acronym RFID, has been used in other industries since the early 1970s. It is the same technology that Amazon.com is using in its new grocery stores that have no checkout lanes. Pluck an item from the shelf, walk out the door, and the RFID tag on your milk or steak is automatically detected and your account charged. Whether you know it or not, you have probably used RFID technology. RFID tags can be attached to any object and used to track and manage inventory, assets, or people. For example, the retail industry has been using RFID tags for years to prevent theft. RFID tags have also been implanted into pets to locate owners if a stray pet is found. They are also used on keyless door entry systems. There are literally hundreds of thousands (if not millions) of different uses for RFID technology in the world today. Te Pari manufactures RFID-enabled load bars that can be placed under a cattle chute to weigh livestock automatically. When a steer enters the chute during vaccination season, for example, the animal’s weight is then automatically recorded. That information is entered into an easy-to-use database and then that information can be used to analyze, make decisions, and perform other tasks automatically. A rancher, for example, can compare an animal’s growth over time and determine whether a sire or dam is performing up to expectations. That kind of information allows a rancher to shape his or her herd and create a lot of additional revenue over time. 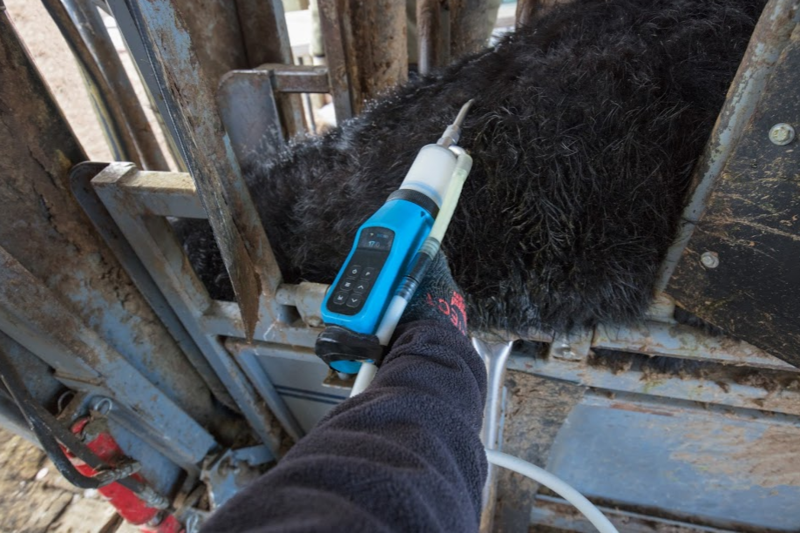 When used with a Te Pari dosing gun or vaccination gun, a vaccine’s quantity can be automatically measured and loaded into the gun to suit the weight of each animal. For the average medium to large rancher in Montana than can mean a savings of many thousands of dollars each year even after the RFID equipment is paid for. At up to $2,000 per liter for some vaccines, the savings is evident. But there are other benefits to measuring vaccine doses correctly. RFID technology operates wirelessly and has three essential components: a tag (which consists of a microchip and hidden radio antenna), a reader, and a computer. Wireless readers quickly identify and track tags attached to objects. The tags contain an electronically-stored ID number and can store other information, too. Low frequency passive tags, which are the most common RFID tags in use on ranches, will collect energy from a nearby RFID reader or wand. Because of this, their cost is relatively low; usually only $1.50 to $3 each. High frequency active tags use a local power source (such as a small battery) and may operate dozens of yards away from the RFID reader. Currently high frequency tags are not used as much in the cattle industry, but some are experimenting with them. In Canada, for example, the Southern Alberta Institute of Technology (SAIT) is finding exciting new uses for high frequency RFID tags. Take, for example, the not-so-uncommon occurrence of a cow and calf separating themselves from a herd. That pair could be hidden in any canyon on a 2,000-acre pasture and it might take a long time to find them on horseback. High frequency RFID tags would allow a rancher to launch a drone equipped with a RFID reader and quickly find the cow. That same drone technology could also be used during calving season. Imagine programming your drone to find cow number 4793, which is due to give birth that night. A drone with a RFID reader and infrared camera could easily find that cow, monitor its status, and beam infrared video back to your computer, tablet, or smart phone while you watch from the comfort and warmth of your home. The USDA proposed requiring electronic tags for all call cattle by 2006, but many ranchers resisted. Arguments included the expense and intrusiveness of the regulation. As a result, the proposal died. The electronic tracking of beef cattle had been required in places like Australia, New Zealand, and Brazil for many years. Similarly, electronic tracking for sheep is required in Europe and Canada. However, attitudes are changing, according to those working with the technology behind the scenes. Louis Dubs, a rancher near Bridger, Montana said that weighing animals, recording that information, and then analyzing it has allowed him to save a great deal of money. 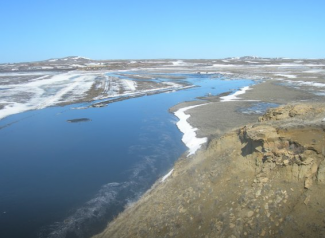 Another reason ranchers are adopting RFID technology is because of changes in the marketplace. Recent studies have shown that millennials, for example, are willing to pay much more for food that is marketed as “sustainable,” with the source identified. RFID technology in New Zealand is allowing consumers to know the backstory of every piece of meat on their plate. Millennials crave that knowledge and it is likely to become increasingly important in years to come. Millennials are the first generation willing to consciously spend more money for sustainability and traceability. And restaurants and grocery stores are willing to pay ranchers extra for that information. RFID technology makes that possible. 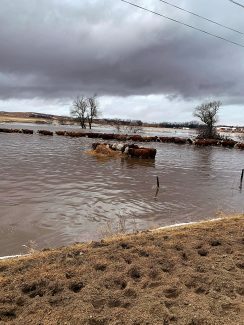 Lastly, and perhaps more importantly, ranchers are beginning to realize that RFID technology can also help isolate the outbreak of certain diseases that could potentially cripple an industry for years, if not decades. In 2003 a case of BSE, also known as mad cow disease, was discovered in a dairy cow in Washington state. 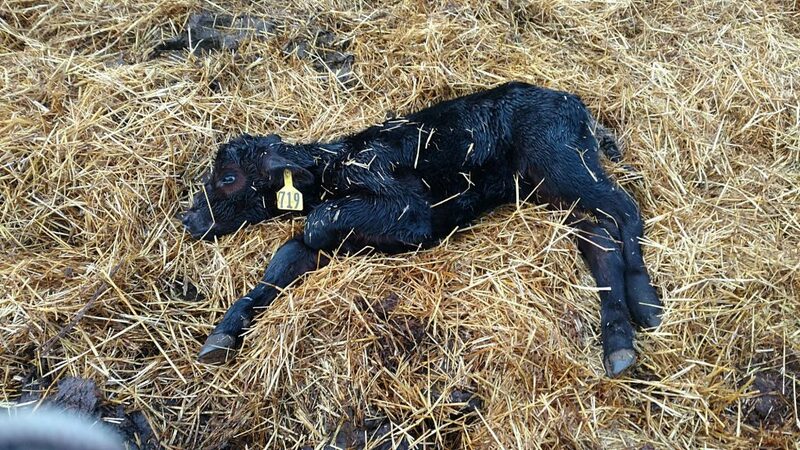 It took 13 days to trace the cow back to the farm where it was born in Canada. RFID technology today could trace the origin of that animal in hours, not days. And as a result, electronic tagging could prevent the spread of a disease that has the capability of destroying an entire industry. 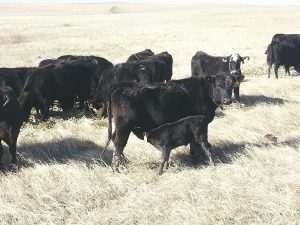 Blampied said he didn’t know if the United States government would ever try to make RFID technology mandatory again but said the benefits of RFID technology may appeal to ranchers even if the government doesn’t require it.